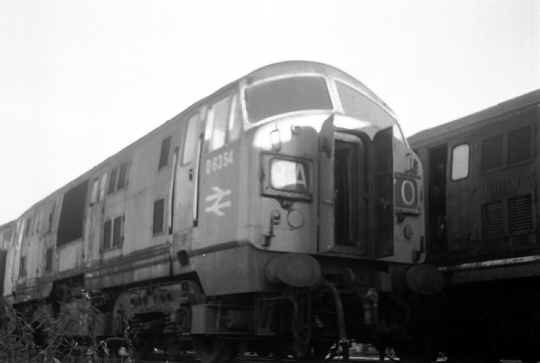 Alongside the Warships were their half power cousins, the NBL class 22. 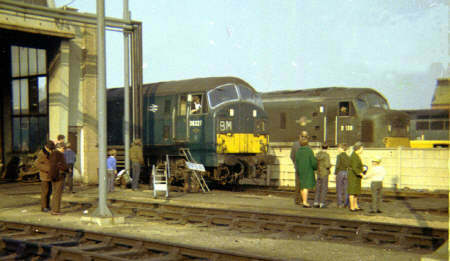 D6308 is seen here at St Philip's Marsh depot in Bristol in the company of a pair of Warships. They were neither the best looking or most reliable machines, but they had a certain charm. 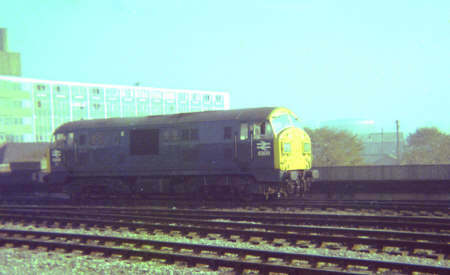 Their duties varied from empty coaching stock in and out of Paddington to clay trains in Cornwall and branch services throughout Devon and Cornwall. Another view of D6308, this time running on to Bath Road depot. Another D63xx on Bath Road, this is D6327. 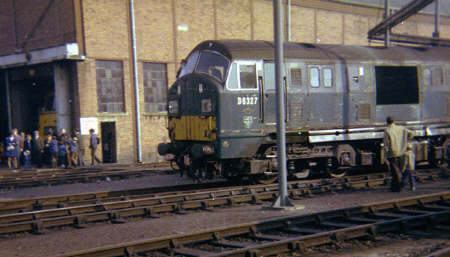 Another view of D6327 on Bath Road, this time in company with D138, the first member of Class 46. 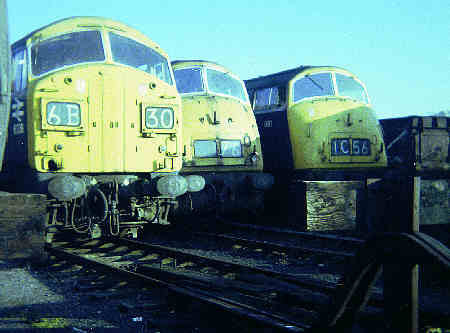 D6340 at the head of a line of Warships stored at St Philips Marsh depot, Bristol. 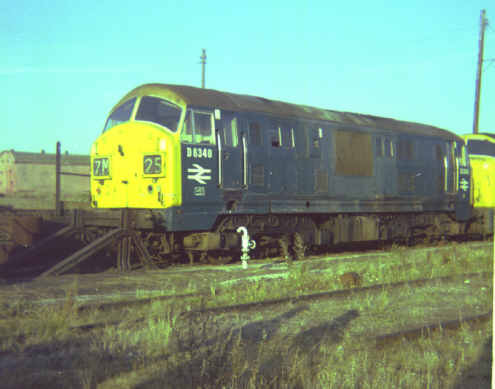 The last one is of D6354, also stored at St Philips Marsh, included for the rare view of the open gangway doors. Photos by B Tucker.